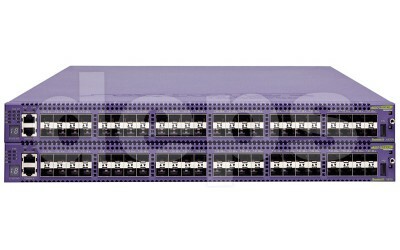 The Summit X670 series switches are purpose-built top-of-rack switches designed to support emerging 10 Gigabit Ethernet-enabled servers in enterprise and cloud data centers. Summit X670 helps optimize new server deployments with its optional, future-proofing 40GbE uplink for 10GbE-based high-performance servers to start the transition to the new virtualized environment. The Summit X670 series is available in two models: Summit X670V and Summit X670. 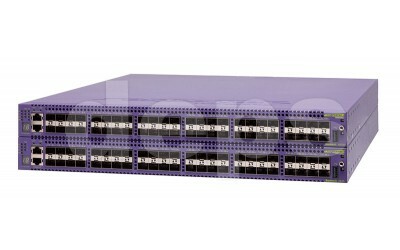 Summit X670V provides high density for 10 Gigabit Ethernet switching in a small 1RU form factor. 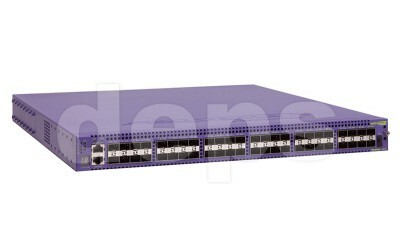 The switch supports up to 64 ports in one system and 448 ports in a stacked system using high-speed SummitStack-V320, which provides 160Gbps and 320Gbps throughput and distributed forwarding. 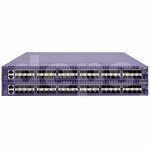 The Summit X670 model provides up to 48 ports in one system and up to 352 ports in a stacked system using SummitStack-V longer distance (up to 40 km with 10GBASE-ER SFP+) stacking technology. 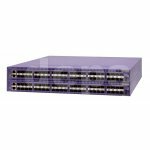 The Summit X670 series provides high-density Layer 2/3 switching with low-latency cut-through switching, and IPv4 and IPv6 unicast and multicast routing to enable enterprise aggregation and core backbone deployment in AC-powered and DC-powered environments. Summit X670 series include the ExtremeXOS® modular operating system. The high-availability ExtremeXOS operating system provides simplicity and ease of operation through the use of one OS everywhere in the network. 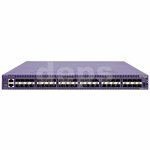 The Summit X670 model offers 48-port 10 Gigabit Ethernet non-blocking switching with 10GBASE-X SFP+ interfaces. Summit X670 is capable of Layer 2 and Layer 3 forwarding at up to 714 million packets per second forwarding rate in a small 1RU form factor, enabling next-generation high-performance server deployment in data centers. Both models support SummitStack-V high-speed, longer distance stacking. 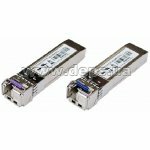 The Summit X670V model can support an additional four QSFP+ ports of 40 GbE with the optional VIM4-40G4X module. 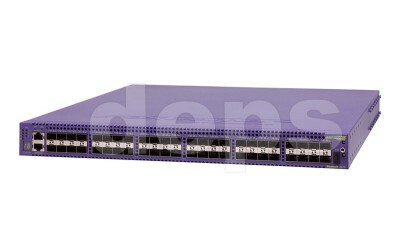 With this option, you can maximize the number of interfaces for servers up to 48 ports while using the dedicated four-port 40 GbE module for uplink connectivity. 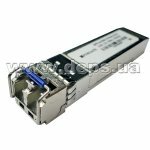 The optional VIM4-40G4X provides 160 Gbps aggregated bandwidth to the backbone. Each 40 Gigabit Ethernet port can be independently configured as 40 Gigabit Ethernet or 4×10 Gigabit Ethernet; thus with the VIM4-40G4X module, Summit X670V can support up to 64 ports of 10 Gigabit Ethernet in a 1RU form factor and is capable of Layer 2 and Layer 3 forwarding at up to 960 million packets per second forwarding rate. 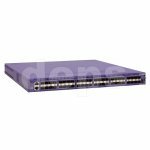 This configuration provides 3:1 oversubscription from front ports (total 480 Gbps bandwidth) to uplink ports (total 160 Gbps bandwidth) and maximizes server port density. Summit X670V together with VIM4-40G4X provides high speed stacking running at 160 Gbps through the SummitStack-V160 technology. SummitStack-V160 can be enabled on two 40. Gigabit Ethernet QSFP+ ports on the VIM4-40G4X, using half of the module’s four ports as stacking interfaces. 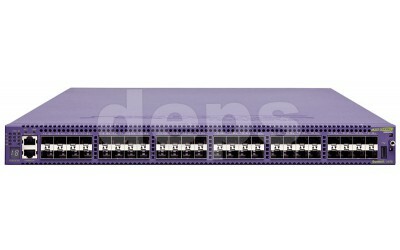 SummitStack-V160 is compatible with SummitStack-V80, which is available for Summit X460 and Summit X480 series switches. ExtremeXOS supports IEEE Audio Video Bridging (AVB) standards to enable reliable real-time audio and video transmissions over Ethernet, for high-definition and time-sensitive multimedia streams with assigned Quality of Service (QoS). ExtremeXOS leverages AVB to identify and reserve network resources for A/V traffic streams and supports synchronous streaming capabilities to ensure reliable and high-quality A/V transmissions over Ethernet. AVB also enables time sensitive multimedia streams to be sent over the Ethernet network with low latency and provides service quality for high definition information and entertainment application.